Attorney Matt Topic, web journalist Brandon Smith and activist William Calloway discuss Thursday's ruling. THE LOOP — A judge has ruled that the city has until Wednesday to release to the public a controversial dashcam video showing a Chicago Police officer shooting a teenager 16 times a year ago. Cook County Circuit Judge Franklin Valderrama on Thursday afternoon issued the order in a case stemming from muckrakery! web journalist Brandon Smith's Freedom of Information Act request to release the video showing the death of 17-year-old Laquan McDonald. The Police Department immediately asked the judge to delay the release of the video until it could appeal his ruling, but Valderrama rejected the request. 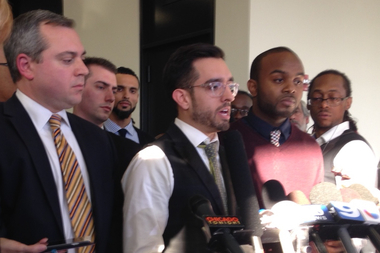 Mayor Rahm Emanuel announced at the end of the day that the city would abide by the ruling and not appeal. 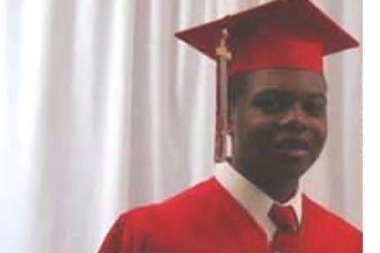 Laquan McDonald was shot 16 times by a Chicago Police officer and died just over a year ago. "Police officers are entrusted to uphold the law, and to provide safety to our residents," Emanuel said in a statement. "In this case unfortunately, it appears an officer violated that trust at every level. As a result, the city’s Independent Police Review Authority promptly sent this case and the evidence to state and federal prosecutors who have been investigating it for almost a year. In accordance with the judge’s ruling, the city will release the video by Nov. 25, which we hope will provide prosecutors time to expeditiously bring their investigation to a conclusion so Chicago can begin to heal." "There is a tremendous public interest in the immediate release of this video," argued Smith's attorney Matt Topic, later adding, "We think it's time for the city to release this video and not continue this fight." The city has already paid a $5 million settlement to the mother and sister of McDonald, and their attorneys said after Thursday's ruling that the family does not want to see it released. "This would be very painful to them," said attorney Michael Robbins. "What mother would want to see the execution of her son over and over?" added attorney Jeffrey Neslund. They agreed the video was potentially explosive. "I understand the city's concern," Robbins said. "I share their concern." Yet Smith and local activist William Calloway, who joined in the battle to have the video released, said they were unconcerned about the release of the video and that it was up to the public to decide how to respond. They said it was critical to the ongoing national debate on police shootings. Calloway said he had been inspired to join this particular fight by the acquittal of detective Dante Servin earlier this year in the 2012 shooting death of Rekia Boyd. Smith said the long process of getting the video released argued against Emanuel's claims of government transparency. "I don't think the Emanuel administration is transparent," Smith said. "I beg them to show me how they are — in facts." Valderrama ruled the Police Department did not meet the exemptions that would permit withholding the video in a FOIA request. While acknowledging that there are ongoing investigations by the U.S. attorney, the FBI and the Cook County state's attorney into the shooting, he ruled the state FOIA law only permitted a Police Department to withhold such a video if the department itself was persisting with an investigation. The hearing came a day after Illinois Attorney General Lisa Madigan's office released a ruling from earlier this month finding in a parallel case that Wall Street Journal reporter Zusha Elinson's FOIA request was legitimate and that the video should be released. The ruling was signed by Assistant Attorney General Neil Olson, who determined it was not relevant that the shooting is still being investigated by federal and local authorities. The American Civil Liberties Union of Illinois has also gone on record saying the video should be released. The Emanuel administration has argued the video needs to be kept from the public's view while the investigations are ongoing, and the mayor has pledged to release it once the cases are closed. According to Steve Patton, the city's corporation counsel, the dashcam video supports the family's contention that McDonald's shooting was unjustified. According to Patton, officers received a report of a break-in, and a man armed with a knife at a truck yard at 41st Street and Kildare Avenue on the evening of Oct. 20, 2014. They trailed a suspect later identified as McDonald, while radioing to request a Taser, as neither officer was equipped with one. When another squad car tried to block McDonald near Pulaski Road, Patton said, the suspect stabbed a car tire and continued on. As other squad cars closed in, one officer stepped from a car and shot McDonald 16 times. No other officer fired a shot, according to Patton. Tribune columnist John Kass reported the officer was Jason Van Dyke, and that it was later found that McDonald had taken PCP. According to data released this month from Chicago Police via the Citizens Police Data Project, Van Dyke has 18 misconduct complaints on his record in an incomplete data set from 2002 to 2015. Seven of the complaints involved arrest/lock-up procedures, though Chicago Police investigators did not sustain any of the complaints and Van Dyke was never disciplined. Patton stated that McDonald had an "extensive juvenile record," and that Van Dyke said he was "in fear of his life." Attorneys for McDonald's family were prepared to use the dashcam video to argue the teen was walking away from the officer when the shots were fired and that "deadly force was not justified," Patton said.